Hi! I am a 14 year old aspiring ballerina. My dream is to study at a top ballet school full time, then dance professionally. However, I currently dance at a very small, recreational, and jazzy school. I don't have the opportunity to take more than 3 ballet classes a week, and I know that is not enough. Luckily, I was accepted into the ABT New York summer intensive, but I don't know how much longer I can train recreationally while keeping my technique up to par. Do you think enough hard work will help me to reach my dream even without good training(for the time being)? I am very determined and I love ballet. I just don't know if my dream is possible with my poor training. Thank you! Thanks for your message it's great to hear from you. Well, your hard work and determination WILL get you far in dance. 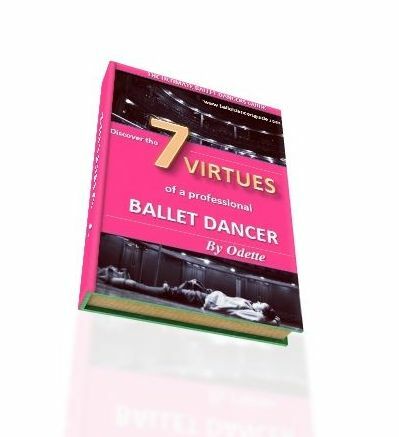 It is a key trait to all ballet dancers and you will be surprised at how it can push you forward to progress. I understand your worries and I think you realise too that you will need to move on to a higher amount of training at some point soon. However, at what stage this must be is very different with each ballet dancer. I have many friends who only started training full time at a vocational school from the age of 16 and they still made it to a professional level. Therefore, from what I have experienced, I know that 16 is a key age to push your training more and take it seriously full time. It is a very good move that you are attending the ABT New York summer intensive. I am very keen on young dancers going for these intensives, because it can help develop you more and give you opportunities to be seen by different ballet teachers. If you can push yourself in your current classes and keep a close relationship with your ballet teacher, she can help you improve too. If you are able to get any private lessons with her to focus on your personal corrections, then this would benefit you a lot to what you can work on. I hope these suggestions have helped for now, but please let me know any more thoughts you have. Keep in touch! I have so much advice I want to pass onto you!